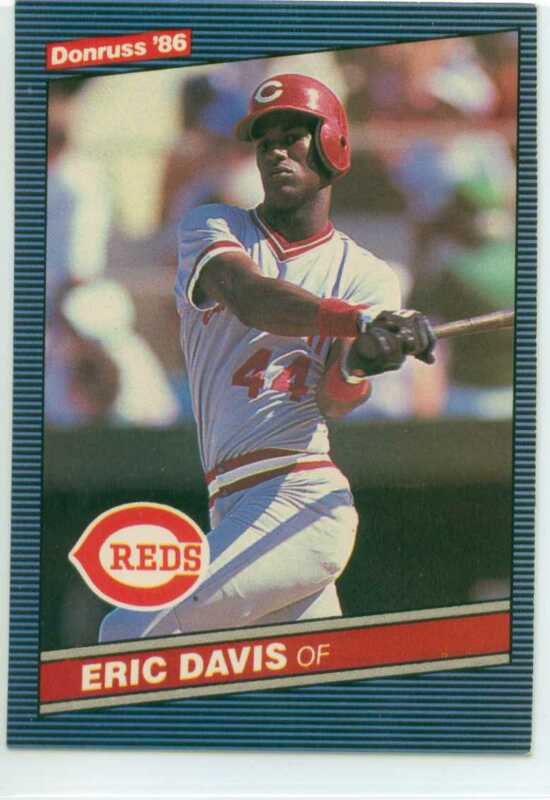 Eric Davis 1986 Donruss – Did He Make Contact OR Not??? It looks like ‘Eric The Red’ got a pretty mean hack into this one, but I cannot tell if he made contact or not. My guess is no – if he did, he would be watching the ball as it leaves his bat, right? On this day back in 1992, Robin Yount collected hit number 3,000 of your career – a true testament to his talent and dedication to the game of baseball. At home, and in front of 47,000+ Brewers fans, Yount took center stage as he entered the game with 2,999 career hits. All of the fans in attendance were there to witness baseball history and it would not take too long for that to occur. 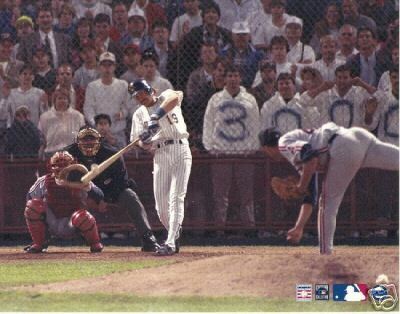 In the bottom of the 7th inning, Yount hit a single off of Indians pitcher Jose Mesa as he collected hit #3,000. What is also extremely impressive about this feat is that Robin Yount routinely had 150+ hits per season. He was a skilled and patient hitter and never struck out more than 94 times in a single year!! 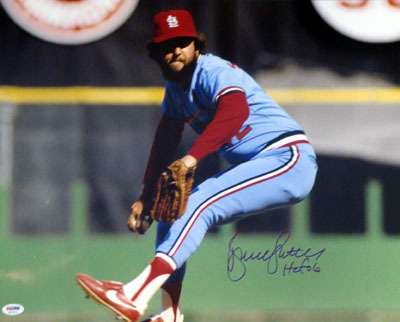 On this day in 1988, Bruce Sutter recorded the 300th and final save of his career. With a career that spanned just 12 big league seasons, Sutter was the master of the ‘close’ for the majority of that time. He recorded double-digit saves in 11 of his 12 seasons while eclipsing 27 saves in a season 6 different times. He also amassed a win-loss record of 68-71 during that time. Sutter’s Hall of Fame career lands him in 21st place on the all-time list for career saves. On this day in 1977, both Lou Whitaker and Alan Trammell made their debuts for the Detroit Tigers. Nearing the end of the 1977 baseball season, and well out of contention for a playoff chance, the Tigers brought up these two rookies to see what they could do at the big league level. And how did they fare?? Well, let’s just say that for the next 19 baseball seasons, the Detroit Tigers management and front office did not have to worry about their middle infield. 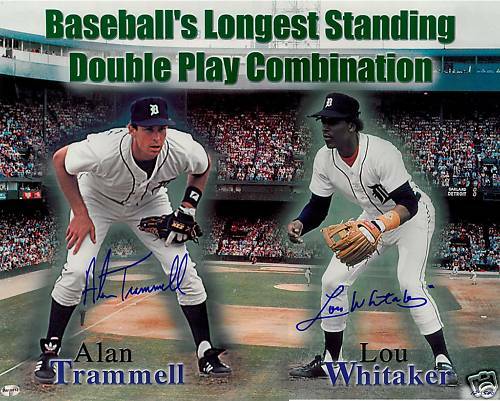 Lou Whitaker and Alan Trammell transformed how double-play tandems were viewed due to their ability to play as a cohesive unit. And the results of their work together? Whitaker was the Rookie of the Year in 1978. He also made the All-star team 5 times while winning 3 Gold Gloves. Trammell was a 6-time All-star and earned 4 Gold Glove awards. And most importantly, this duo helped lead the Tigers to the World Series championship in 1984. Happy Anniversary to Mr. Whitaker & Mr. Trammell!!! I am convinced that Topps puts something into the Red ink with their Triple Threads releases – all of them look intoxicating!! 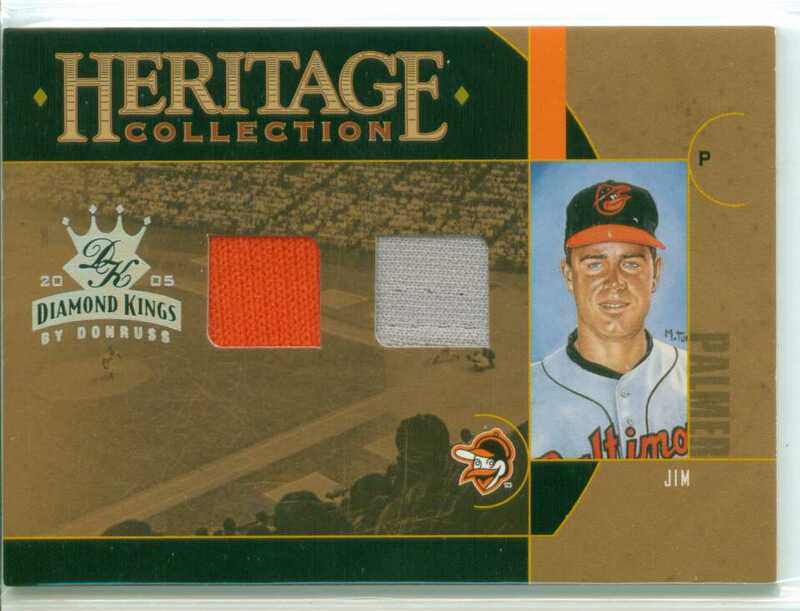 I recently wrote about a Brooks Robinson Triple Threads card from the 2011 set that I picked up. The card is superb, and the Red framing of the photo looks great. 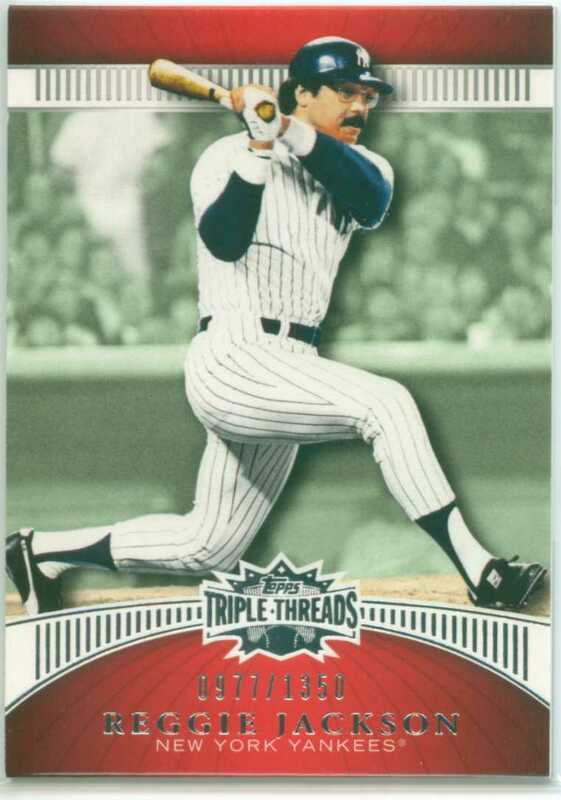 Not to be outdone is this card of Reggie Jackson from the 2010 release. It too looks great, and the Red is a big part of that. The card is serial numbered as 977/1350. In 2005 Donruss was issuing all kinds of Diamond Kings-related subsets. That led to an explosion of cards to collect for player collectors. Among the subsets, was ‘Heritage Collection’. And while I am not a huge fan of the rather boring design for a set that has such an awesome title, I still like that the cards are a nice extension from the original Diamond Kings set. Do you know what I like most?? That I paid just $2.99 for the set. And with no additional shipping fees since I already had a nice chunk of cards in my basket from this seller, I thought this was worthy of the 299-penny investment. The card is serial numbered as 25/100 and I really like that it features two different color swatches for the relics!! !